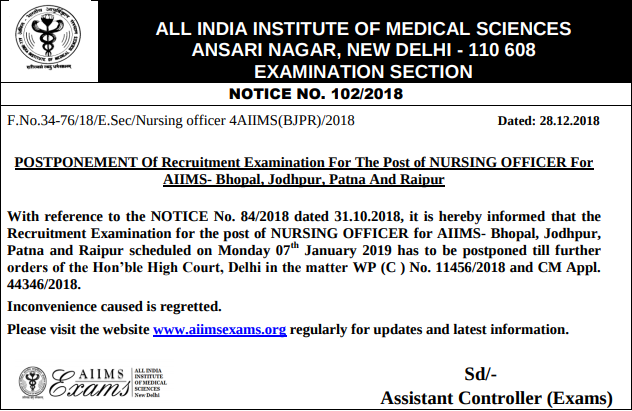 All India Institute of Medical Sciences (AIIMS) has postponed the AIIMS Nursing Officer Recruitment 2018 Exam again. And this time there is no further dare for examination. The examination was supposed to held on January 07, 2019 Earlier the same examination was scheduled to held on December 07, 2018. The admit card was released on December 28, 2018. The candidates can download their admit card for AIIMS Nursing Officer Recruitment 2018 from December 28, 2018. 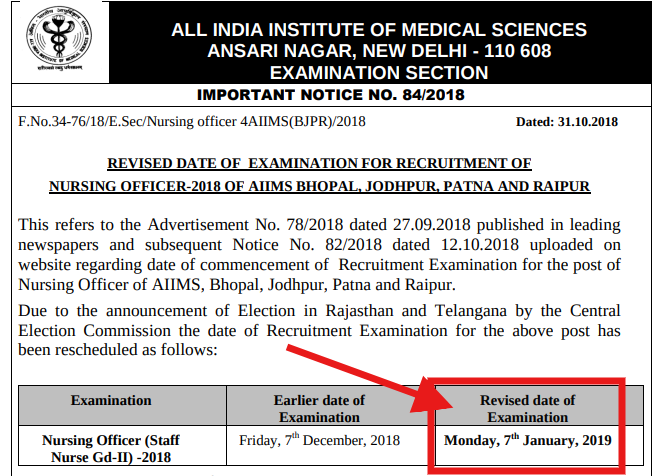 After examination, AIIMS will declare the result in the very same month on December 18, 2018. Get here all the details of AIIMS Nursing Officer Recruitment 2018. Latest: AIIMS has postponed the AIIMS Nursing Officer Recruitment 2018. Scroll down to chcek the dates. Al the details of the recruitment are announced now except for releasing of admit card dates. Very soon that dates will be released by the AIIMS. This recruitment is being conducted for recruiting 2000 Nursing officer. After completion of application form, AIIMS will issue the admit card to the candidates who will the application form in time. The admit card will be released on the official website of AIIMS i. e. aiimsexams.org. The candidates have to download the admit card by entering the login credentials. The candidates should note that AIIMS will not send admit card to candidates by post. The only mode of getting the admit card is online apart from that no other mode will be available. Along with the examination dates, the detailed examination schedule has been released as well. The candidates who have participated in the recruitment process can check the scheme of the exam. Qualifying Criteria: 50% for UR, 45% for OBC and 40% for SC & ST. This time AIIMS introduced 2000 vacancies in different AIIMS across the country. The candidates who are applying can check the vacancy details from here. Age Limit: The candidate whose age falls under the age bar of 21 to 30 years are eligible to apply. However, age relaxation is also applicable here. Age Relaxation: The candidates of different categories will get age relaxation in upper age as follows. B.Sc. (Post Certificate) / Post-Basic B.Sc. Nursing registered as Nurse Midwife in State / Indian Nursing Council. In addition to the above, the candidates should have the experience of two years in a minimum 50 bedded Hospital. AIIIMS will release the application form as per the schedule. The candidates will able to fill the form at aiimsexams.org. 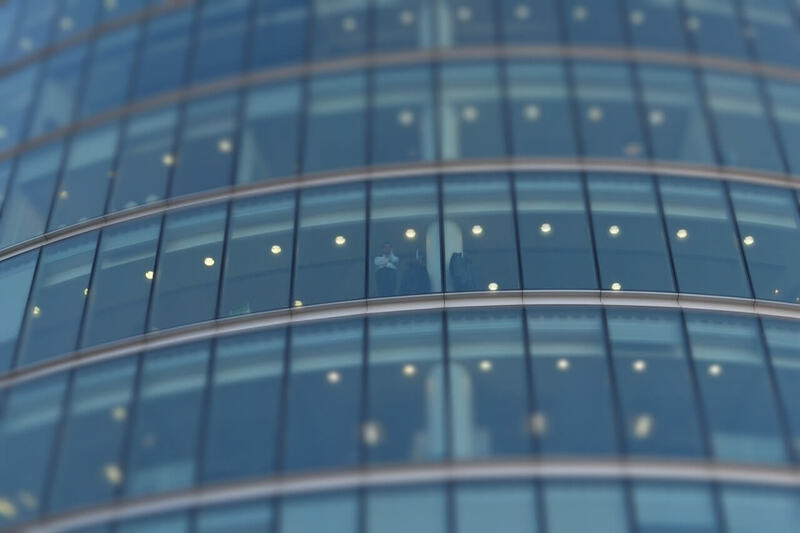 The candidates have to complete the form within the provided time. The eligible candidates who are filling the application form should submit the application fee as well. The candidate should note that the application fee differs for each category. A general and OBC category candidates have to pay Rs. 1500/- as application fee. While an SC/ST candidates have to submit Rs. 1200/- as application fee. But the candidates belonging to the PWBD category have not pay any fee. The application fee is NIL for them. The candidate should note that the mode of submitting the application fee and form online apart from that no other mode is available. The candidates can use the Debit Card/ Credit Card / Net banking details for submitting application fee online. After conduction of online examination, AIIMS will declare the result on its official website as per the schedule. The candidates who will appear in the exam will be able to chcek the result from the official website i. e. aiimsexams.org. AIIMS may release the result in form of a pdf file or it can simply announce the result through credentials. If it releases the result through login then candidates have to use login credentials to check there result. After the declaration of result, all the selected candidates have to appear in the document verification process. The candidates have to carry all relevant documents while appearing in the document verification process. It is quite obvious that two candidates get equal marks. So AIIMS has decided the criteria to resolve the tie cases. As we said above, after the declaration of the result, AIIMS will organize the document verification process for all the selected candidates. The candidates have to appear in the respective AIIMS on the said date, for which they will apply in the application form. The candidates have to produce the following documents while appearing for the document verification. Copy of registration slip which received after application submission. The candidate should note that it is mandatory to appear in the Document verification process because the selection of the candidates is provisional until his/her documents are found correct and AIIMS declares them as qualifiers. So to prove the genuineness it is mandatory to attend the document verification process. After the document verification process, the AIIMS will release the final merit list for all those candidates who will appear in online examination and document verification process. It will release the names of the selected candidates whose documents will found correct. The candidates will be to get the merit list form the official website of AIIMS, aiimsexam.org.in. 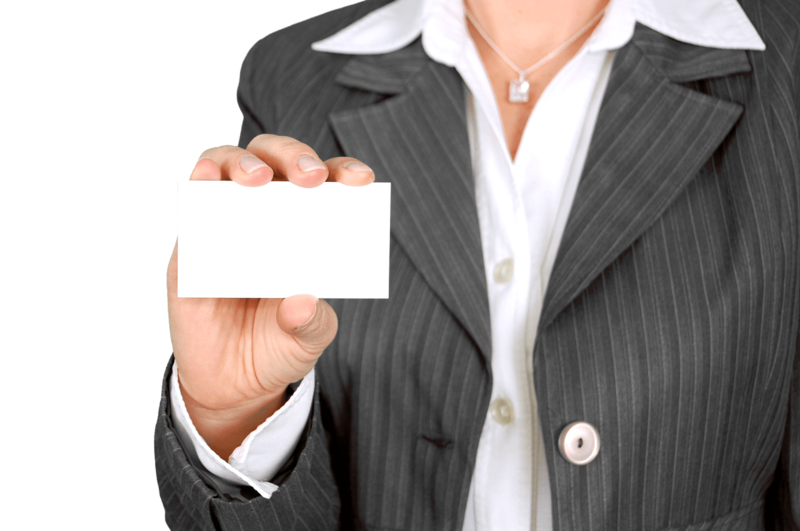 Here the candidate doesn’t require to enter any credentials to check the merit list. Candidates will be able to fetch the merit list directly from the website. After final selection on the post of Nursing Officer (Staff Nurse-Grade-II)- Group ‘B’ AIIMS will provide the pay scale all the qualifiers as per the Level 07 in the Pay Matrix. According to the Level 07 in the Pay Matrix, a Nursing Officer’s Salary will be in pre-revised Pay Band-2 of Rs. 9300-34800 with Grade pay of Rs. 4600/-.